A former football coach with links to Derbyshire has today been jailed for 30 years after being convicted of sexual offences against young players. Sentencing him, a judge branded Barry Bennell "the devil incarnate". Bennell - now known as Richard Jones - was found guilty last week of 43 offences including indecent assault, buggery and attempted buggery following a five-week trial at Liverpool Crown Court. The offences relate to 11 victims and took place between 1979 and 1989. 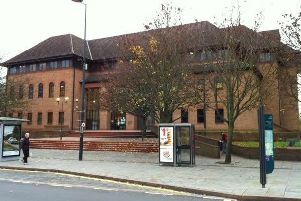 He pleaded guilty at the start of the trial to seven further offences. The 64-year-old carried out the abuse in a variety of locations including at his home addresses, at Butlin's holiday park, in his car or on football tours. Judge Clement Goldstone QC, sentencing Bennell at Liverpool Crown Court today (Monday), said: "Your behaviour towards these boys in grooming and seducing them before subjecting them to, in some cases, the most serious, degrading and humiliating abuse was sheer evil." He said that Bennell stole his victim's "childhoods and their innocence to satisfy your own perversion". "Each has suffered and now, more than 30 to 35 years after you ruined these boys', now mens' lives, continues to suffer," said Judge Goldstone. Children’s charity NSPCC said the sentence reflected “the horrors of Bennell’s decades-long campaign of abuse”. “He ruthlessly preyed on the hopes and aspirations of young footballers who believed he held the key to their dreams and each victim has shown incredible bravery in speaking out about their ordeals,” said a spokesperson. During the trial, victims told the court about how the abuse they suffered impacted their lives, with some describing how they turned to alcohol and drugs. “Not a day goes by without thinking about the abuse I suffered. I loved football and like most boys it was my dream to play professionally,” said one victim. Bennell has already served three jail terms, amounting to around 15 years, for similar offences involving 16 other victims. Bennell was once employed at a children's home in Derbyshire.